Part of the central belt extending north and west from Edinburgh, Stirling is located only 40 miles from Edinburgh and roughly the same distance from Glasgow to the southwest, but the difference between those areas and Stirling is striking. Stirling was once the capital of Scotland and occupies a strategic location as the “gateway to the highlands.” The smallest “city” in Scotland with only 32,000 inhabitants, it has always been critically important as a center for the crowning of Scottish kings and a seat of power throughout the country. 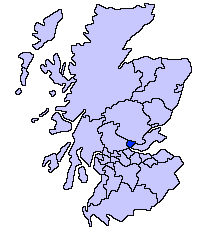 Although close to Glasgow and Edinburgh, the central belt is surprisingly rugged and includes some of the southern Munros (Scottish mountains). 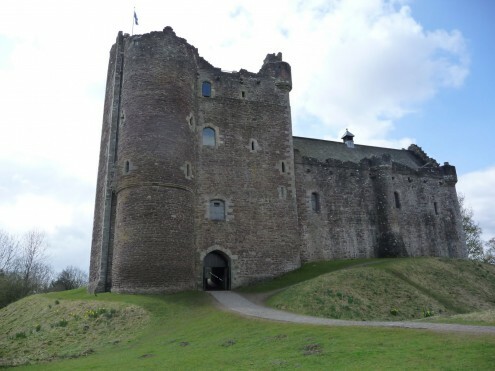 Castles in the region illustrate the great power of the lords in the area, none moreso than Castle Campbell, formerly known as “Castle Glume.” Located 1 km up the Burn of Care — do not turnoff into the Burn of Sorrow! 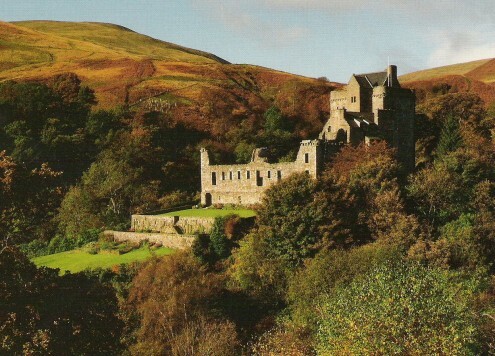 – it is one of the most impressively located castles in all of Scotland and is often used for weddings and receptions. 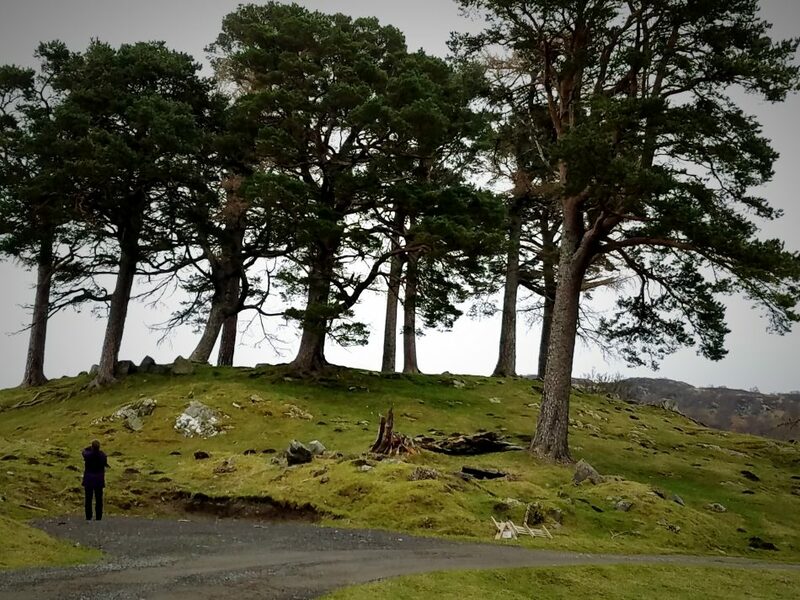 will be recognizable as the film location of both Monty Python and the Holy Grail and as “Castle Laoch” from Outlander. Doune Castle has become one of the most visited sites in Scotland, and the giftshop even has coconuts to loan for a romp around the walls. 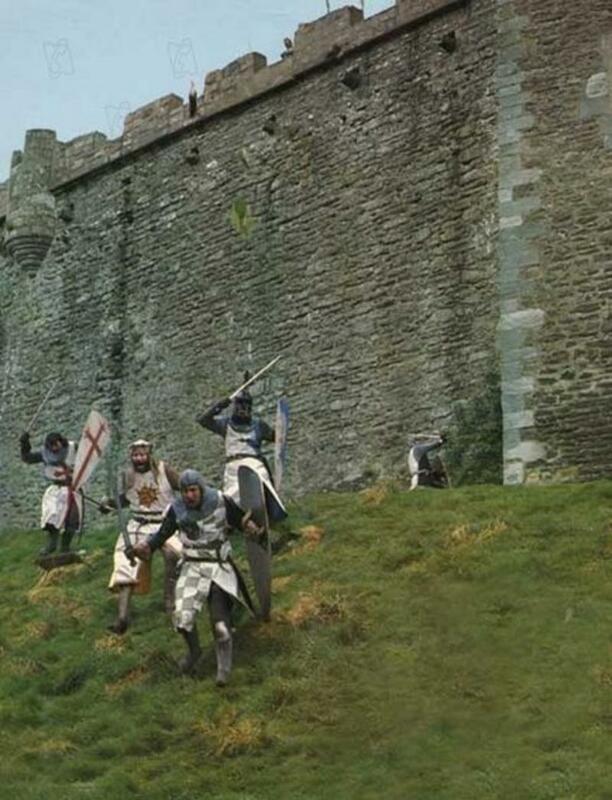 Of course, Stirling itself is home to Stirling Castle, a royal fortress and palace during the time of Mary, Queen of Scots, James V, and James I and VI. But its history goes back even farther. Stirling Bridge, somewhere near Stirling (no one is quite sure where) was the site of William Wallace’s greatest victory over the English in 1297 and the green at Bannockburn was where Robert the Bruce again defeated the English and all but guaranteed his ascension to the Scottish throne. From the ramparts of Stirling Castle, one can look toward the north and see the Wallace Monument.